On Saturday the 3rd of November, The X Factor decided to cancel their voting due to audio difficulties. 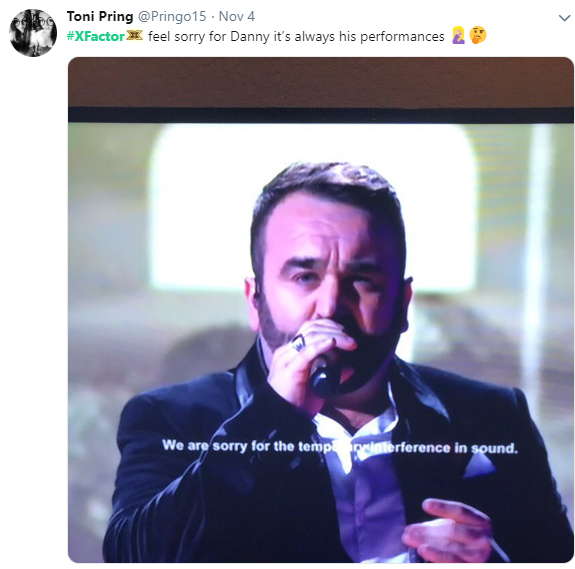 During Danny Tetley's, and many other contestants performances, the viewers of the show experienced robotic sounding audio. During the performances, you could see a message being displayed that said: "We are sorry for temporary interference in sound." This carried out throughout the entire show which led to X Factor producers making the decision to cancel audience voting until Sunday. As the show was pre-recorded, and not live, this meant that host Dermot O'Leary could not refer to the sound problems. This event made people think that their Televisions were broken or that ITV had put this effect on for Halloween. 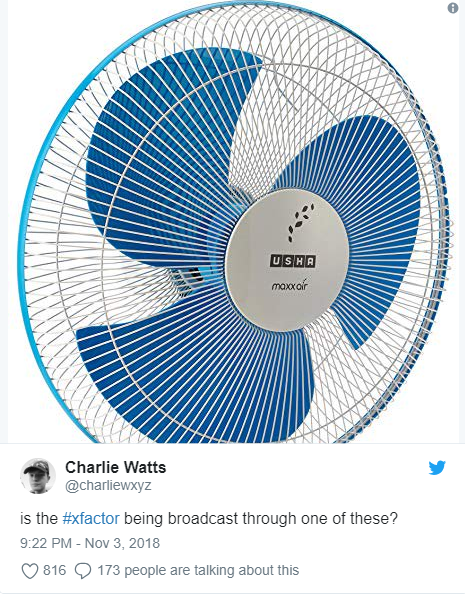 An ITV spokeswoman said: "We apologise for the technical issue that affected the sound on part of tonight's episode of The X Factor. We are investigating why this happened. We can confirm tonight's public vote has been cancelled and will instead open in tomorrow night's show at 8.30pm on ITV." This is the first time that any audio problem has happened in the 15 years of X Factor. Hopefully, this will not happen again because if it does happen to be a recurring thing the viewing figures may be affected dramatically. Do you think that itv could have dealt with this in a better way? Let us know in the comments!